Shonda Smith, our 2018 Ms. Mompreneur, is passionate about empowering girls. She enjoys mentoring young girls in her community and beyond by helping them build confidence, discover their gifts and talents, make healthy lifestyle choices and so much more. 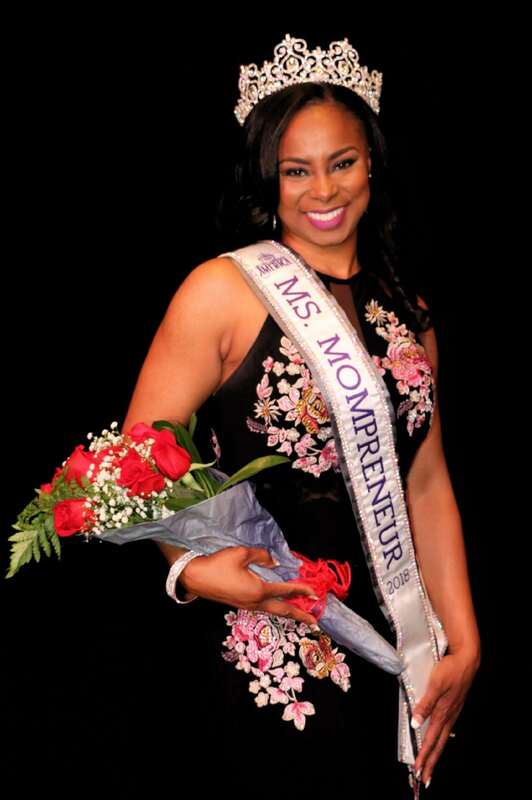 As the Founder and CEO of The Queen In Me, LLC, she aims to “transform tweens to queens” through workshops and online courses entitled, “Luv’n the Queen in Me!” As a certified girls’ empowerment coach, wellness coach and inspirational speaker, she is fulfilling her life’s purpose by equipping young girls with the tools necessary to build self love and transition through life with confidence. Shonda’s professional background is in elementary education with a bachelor’s degree and more than 10 years of experience as a fourth grade teacher. She is also a licensed cosmetologist with more than 17 years in the beauty industry. She’s married and a mother of five amazing children, including three future queens! Shonda is an advocate for the prevention of child sexual abuse. By spreading awareness through developmentally appropriate, fun and engaging education, she aims to prevent child sexual abuse among young girls. I love warm weather and tropical scenery! I have toured islands out of the country before, but proud to be an American citizen. Therefore, Hawaii would be the ideal location for my dream home. If you could meet anyone in the world, who would they be? I believe in the importance of uplifting one another and building positive relationships with other powerful women. With that being said, it’s my dream to “have a seat at the table” with Michelle Obama and Oprah Winfrey. I often share this with other women and girls: Use the tools you’ve been given (gifts and talents). Using them will lead you to discover what you’re passionate about. Then, when your passion and vision lines up with God’s purpose for your life, you’re on your destined path to greatness! I’m inspired by other strong, confident women on a mission whose inner beauty radiates outward! I see these characteristics and more in so many women. If you’re a woman walking in grace and living a purpose-filled life impacting others around you, then you’re my role model! I have the gift of of hospitality and a giving heart so I enjoy cooking for family and friends. I love trying out creative twists on my favorite foods and experimenting with foods from other cultures. Although my family and friends think I’m an awesome cook, the perfect next chapter adventure for me would be to learn to prepare fine cuisine and maybe even become a gourmet chef! Creative, compassionate and beautiful – inside and out! Pasta, pasta, and more pasta!!! Italy, here I come!! !